21st Century Protest Music: Will There Be Another Dylan? Should There Be? The freestyle music of Occupy Wall Street exemplifies the movement's political approach, and is a radical departure from the protest music of the past. The other day I posed a question on my Twitter feed: What is the music of Occupy Wall Street? As a veteran of many street protests and an amateur historian of popular music rabble rousing, I've been waiting for someone to grab center stage in Zuccoti Square and emerge as a new Bob Dylan or Joan Baez. This political movement gone viral, which some identify as the leftist version of what the Tea Party wrought a couple of years earlier, has no leading musical voice. Who will emerge to take up the challenge, to write the 21st-century version of the great hymn of the labor and civil rights movements, "We Shall Overcome"? 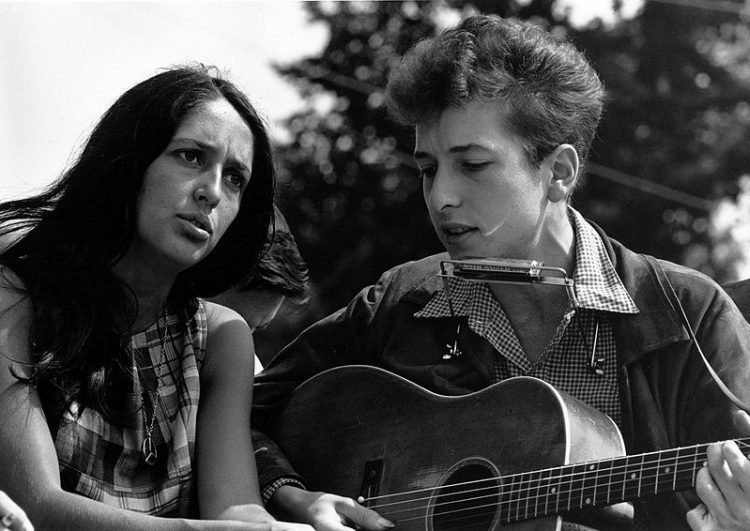 The footage of Dylan and Baez strumming and singing for thousands at the 1963 March on Washington remains the starting point for many discussion of political music, even after nearly 50 years (I've gone there before). Sharing space with the miraculous gospel voice of Mahalia Jackson and, eventually, a throng of 300,000 people singing together, Dylan especially found a way to step into the role of generational leader at that moment. His music served a cause, and the cause made him more than he'd been before. A similar opportunity could arise for an artist at Occupy Wall Street — or so it would seem to anyone used to the 20th century model of grassroots activism. Yet when I put out my query on Twitter, the responses I received were either old-school suggestions (The Clash, Public Enemy), wry jokes (Ray Charles' "Busted," jams by right-winger Ted Nugent) or hopeful artists' bids for attention. A few folks made playlists. One advised me to simply listen to Democracy Now.